Alok Verma came back to the CBI, albeit with clipped powers, after the Supreme Court set aside the government’s October 2018 order. 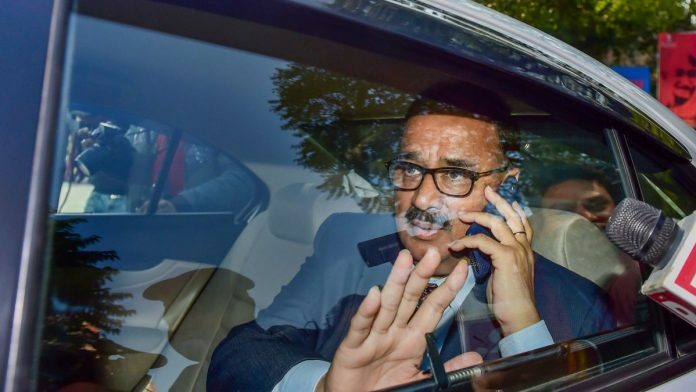 New Delhi: CBI Director Alok Verma joined office Wednesday, 77 days after he was sent on forced leave by the central government through a much-criticised late-night order on October 23, 2018, which was set aside by the Supreme Court. The October order sent Verma and his deputy Special Director Rakesh Asthana, booked by the agency on corruption charges, into exile in a first-of-its-kind move by the government in the agency’s history. In sending Verma on leave, the government overlooked the immunity given to the CBI director by the Supreme Court ensuring a two-year minimum tenure to protect the incumbent from any political interference. The government tried to justify its decision, saying it became necessary amid an unprecedented feud between the two senior-most officials of the agency who had levelled charges of corruption on each other, an argument rejected by the apex court Tuesday. The government had given charge to then Joint Director M Nageswara Rao who was later promoted as additional director in the agency. Verma had challenged the move in the Supreme Court which clipped the powers of Rao as director in-charge and barred him from taking any major policy decision till a final order comes from it. In its order Tuesday, the Supreme Court set aside Verma’s forced leave but restrained him from taking any major policy decision till the CVC probe into corruption charges against him is over. In the absence of any clear definition of “major policy” decisions, the grey area exists as to what extent Verma’s powers will be limited. The apex court said any further decision against Verma, who retires on January 31, would be taken by the high-powered committee which selects and appoints the CBI director. The Supreme Court in Vineet Narayan judgment had fixed a minimum tenure of two years for the CBI director to give him immunity from any political interference. Later, through Lokpal Act, the process of selecting the CBI director was handed over to a selection committee.